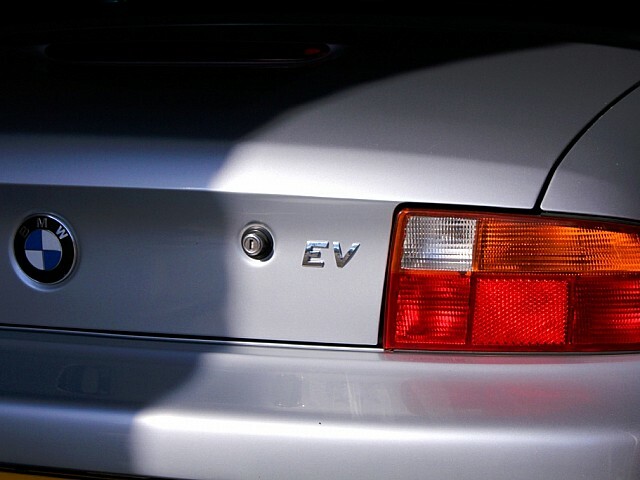 Welcome to my website EV Z3 Conversion project. On this website you can find the progress of the conversion. Hope you will enjoy and hopefully be inspired by the publication of this information. Annual update for the EVZ3: All is well. 26000km and all is still great. No changes other than a small duct for the radiator / cooling have been added. Sorry for posting no updates sooner, but no news is good news! The electric car has been performing admirably. No issues or defects. It had been in hibernation in the garage for the winter period for most of the time. But since late March it has been regulary in use. It has done over 4000km now and it is pure fun. Range with 14kWh is limited, but it turns out i usually use only half of is capacity before it is being recharged either home or at a charge post. Electrical consumption is approx 140 to 200wh/km. 140Wh per kilometer is when long stretches of 80km/h roads are driven. 200wh/km is morning rushhour type of driving. 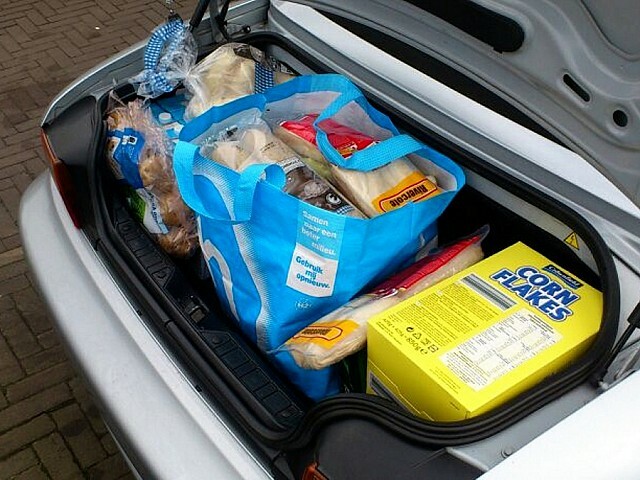 If the weather allows, I always take the Z3 for grocery shopping. 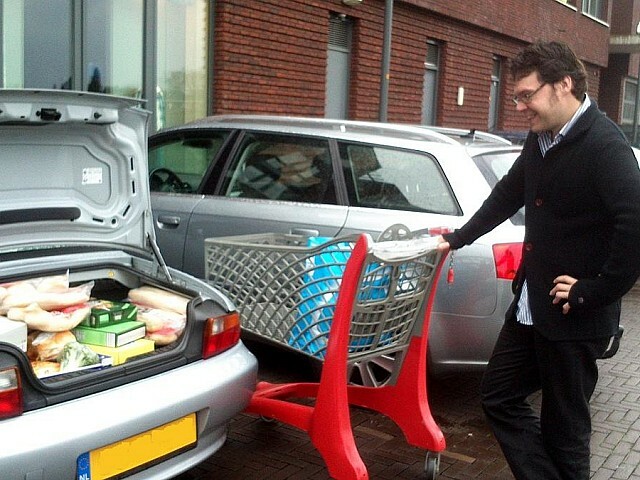 It is hilarious when the shopping mall cart meets the small cargo space of the electric Z3.. Yes its is small, but it gets the job done. Goal of this project is the conversion of a petrol vehicle to a 100% electric vehicle. Its finally ready the all electric Z3, or as I call it, the EVZ3. It has undergone all the European required tests that apply to electric vehicles. Vehicle regulations for EMC compliance VN/ECE R100 and electrical safety VN/ECE R10 have been tested and approved.